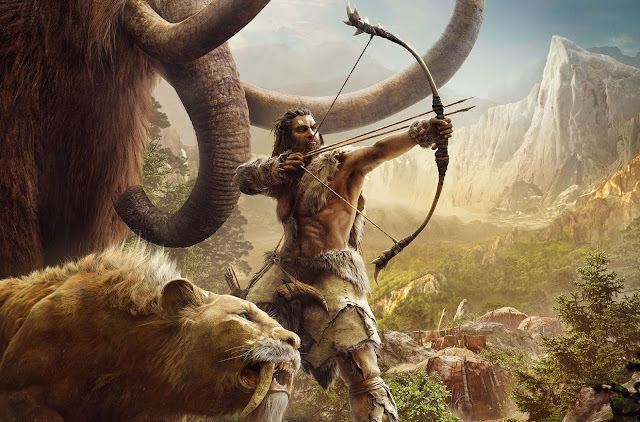 There's something very primitive about Far Cry Primal. Everything has been stripped back, and that's not necessarily a bad thing. If anything, the excessiveness of the later games in the series at times often felt like Ubisoft had given up and just gave into players wanting everything, including the kitchen sink. So, somehow, this is the restrained game in the series. Related reading: Also on PlayStation 4 is Far Cry 4. Nick's full review. 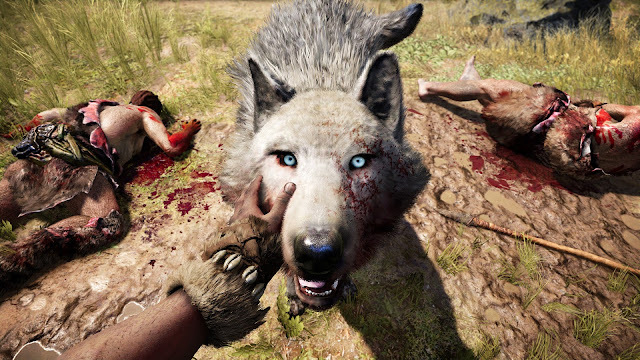 Far Cry Primal is based in 10,000 BCE, which places it some time around the Mesolithic era, in the fictional setting of Oros. Taking the game away from the very modern settings of previous entries makes it an enjoyable and interesting experience. It makes Far Cry make a little more sense. I remember vividly in Far Cry 3 thinking for hours on the stupidity of giving a random holidaymaker powers through tattoos on their arm. It seemed to be insignificant, an afterthought. But here, these skills (while still exotic) seem to make more sense because they fit in with the animism and primal, earthy power that the environment itself is constructed around. Like previous games in the series, Primal gives leading man Takkar a journey across a vast wilderness to complete, with quests dolled out by members of his village. In addition to these quests, the protagonist can hunt (and tame) wild beasts, as well as take over enemy held encampments that act as fast travel spots once cleared. It's a formula that is starting to get old, which is why this change in setting is refreshing. Though the gameplay is too proven as a commercial venture to change it now, it is nice to at least see a change in location and aesthetic, and it's nice to see Ubisoft actively look for ways to keep the franchise experience varied in other ways. As there are no guns to be found, naturally the feel to combat has changed too. Naturally, any blow to the head from an arrowhead or a spearhead is going to take someone out instantly. But it's the blunt, close-up weapons that are much more interesting to play with. It's literally survival of the fittest when all that stands between you and death is a stick with a rock on the end of it. It takes a few hits to take someone out and the same can be said for you. Fighting, which can be reduced down to clubbing, is brutal and difficult, which is why there is an emphasis on taming wild animals, a skill learned early thanks to the token Shaman. Once enticed with bait, animals can be tamed which enlists them by your side, working together. Tamed animals can be used to take out a faraway archer, or stealth through the bushes to take out an unsuspecting patrol watchman. Or, you can tag team and take out a group of enemies together. It creates a fondness for the wildlife that is prevalent in Oros, yet it's a shame you can't take it beyond that. I enjoy getting attached to my animals, naming them, giving them their own little backstory. In Primal, once more than one animal is tamed, selection is from a mere drop down menu, which puts an unfortunate artificiality to the relationship the game wants you to have with the animals. Oros is also a living, breathing ecosystem, something that is clear once you just stop moving and observe. Wildlife moves in packs, protecting each other and fleeing together when they hear or see something moving in the bushes. Wolves will fight deer and bears will fight wandering travellers. It’s so lifelike and something that’s enjoyable to witness. The wilderness also teaches players the most effective way to hunt both prey and foe. The tall grass that populates much of the forest is essential for sneaking up on enemies, and unleashing a barrage of attacks. Takkar also receives an owl early on in the game. The owl can be used to scout ahead, identifying enemies and the owl can eventually attack enemies as well. By far the best part about Far Cry Primal is the lack of English voice acting. Primal's language is unique, an ode to what it might have been to communicate in 10,000 BC. The language reinforced just how foreign the environment and setting were, which makes the mannerisms of the characters when they're talking so much more important. It's an expressive language, at times rough but gentle too. Sadly, there's not enough variety and depth in the voice-overs that would allow someone to play the game and understand fully what's going on. Subtitles are needed to get the general gist of everything, but the emotion is there. Playing a game in a foreign language opens up a lot more that some players normally wouldn’t observe which is another welcomed change. However there is at times a strange juxtaposition that Ubisoft has yet to shake off. To move from gameplay, which you could go so far as to call primal, to a complex modern skill tree in the modern menu feels off. It would have been nice to have the menus feel old as well. I'm not asking to have menus that are hard to navigate, yet an aesthetic that flows. It's clear Ubisoft have out a great deal of thought into Primal. It's not everyday that a studio as big as Ubisoft removes any forms of firearms from their premier shooter series. But the fantasy starts to unravel and we as players take a step out of this beautiful world because of the interface, which is disappointing. Minor issues aside, I do think this is the best Far Cry game. 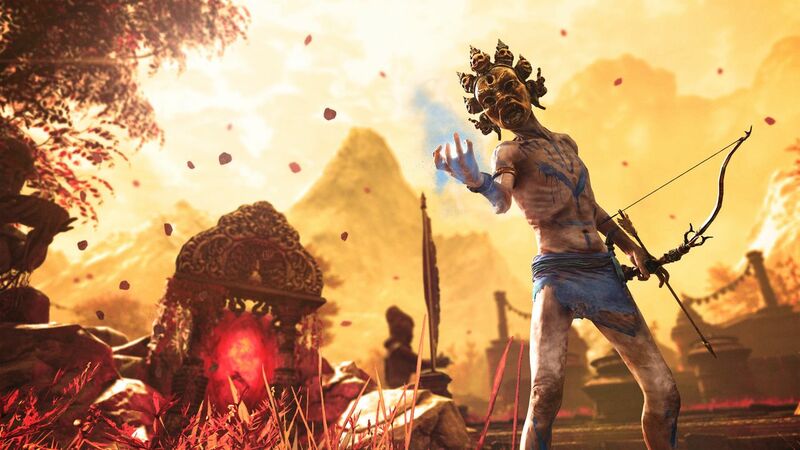 Far Cry 4 did a lot to refine the formula and make it as enjoyable as possible. Stripping back the game to the fundamentals, limiting the resources and focusing the action does wonders for a franchise that was in danger of becoming too sprawling. It would have been nice for co-op functionality to be implemented, especially as there is a narrative focus on tribes sticking together. Regardless it’s a solid single player experience and I hope Ubisoft is encouraged to continue experimenting with settings in the future.